Promoting goodwill and understanding between the people of Canada and Taiwan since 1983. Please allow us to introduce you to our Board of Directors – Canadian Chamber of Commerce in Taiwan. We welcome you to join the Canadian Chamber of Commerce in Taiwan. Visit our Membership page to find out how you can get involved with the CCCT this year. We would love to hear from you! Write to us at info@canchamtw.com for more information. Jean-Christophe is originally from Montreal, Quebec. He was born and raised in the second largest city of Canada, which allowed him to grow up and study in a bilingual environment. After obtaining his university degree from Concordia University, he worked in the municipal government for two years before looking overseas. In 2002, he decided to travel to Taiwan for a work opportunity. 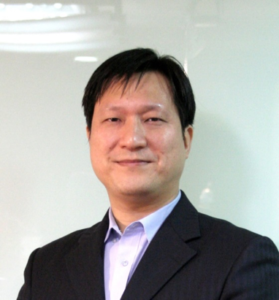 Since 2009, he has been the manager of the Human Resources Department for Hess International Educational Group, the largest private education company in Taiwan. 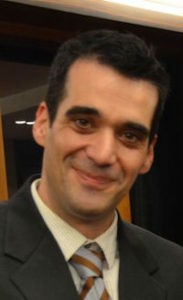 An active member in Taiwan’s foreign community, Jean-Christophe oversees the arrival and integration of over 200 new foreigners a year to Taiwan. He works to promote a strong cultural link between Taiwan and the west to build even stronger relationships around the world. 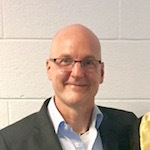 Jean-Christophe joined the CCCT’s Board of Directors in 2014. He is Chair of the MacKay Charity Ball Committee. JC also serves on several other committees with the CCCT. John Kellenberger is from a small farming community in north central Iowa, USA. After graduated from the University of Northern Iowa with a Finance and International Business degree, John moved to China for a position with FAW and the Bank of China. After a year in China, he spent the next year working in the insurance industry. In 2006, he moved to Taiwan with his wife Carrie. They own an international recruiting company called Reach To Teach Recruiting. Reach To Teach recruits teachers for teaching positions with Ministry of Education programs in Asia, private schools and international schools in 11 countries around the world. John has been an active member with the CCCT since 2014. He joined the CCCT’s Board of Directors in early 2016. I was born in Taipei, Taiwan, and moved to Vancouver Canada since 9 years old. Growing up in Vancouver provided me the most wonderful and joyful childhood with the summer rollerblading in Stanley Park and the winter snowboarding in Whistler. Even with the relatively calming and relaxing suburb living, I was strongly influenced by my parents’ entrepreneurialism to be driven and business oriented. Also, despite my passion and talent for art, design and music, I have always known that I will follow my parents’ path on pursuing a successful business career. After graduating from the University of British Columbia with a dual bachelor degree in Finance and Accounting, I decided to move to New York for my CPA license while working for HSBC private banking. After obtaining my CPA, I worked for PricewaterhouseCoopers’ corporate consulting division mainly responsible for Sarbanes-Oxley, internal control compliances, and due diligence for M&A, IPO, and other transaction deals. Working for PwC gave me many fulfilling and exciting experiences and exposures to Asia including cities such as Shanghai, Hong Kong, and Taipei. In addition, it gave me the opportunity to meet and become friends to many talented individuals in different sectors. Currently, I worked for my family business of property development and construction, and to learn from my colleagues and to leverage my experiences, know-how and connections to further the success of my family business are my constant priority. During my free time, I enjoy satisfying my desire to be in touch with the world of art and design. I love spending time with my artistic friends to discuss their ideas and talents. I love to visit my fashion designer friends in France and Italy to discuss their new designs and to mix-and-match different fabrics. I love to travel to exotic places to discover new and local artworks and materials. In conclusion, I believe that it is my destiny to, one-day, contribute in bringing the two worlds of art and commerce together with business minded individuals and corporate supporting artists in their pursuit of greater artistic creations. 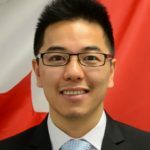 Mr. Alex Chen graduated from Thompson River University with a Degree in Finance. Prior to working in the textile industries in 2011, he was stationed in Thai Sun and Rich Harvest group companies in Deng Kou County in Inner Mongolia. These factories are suppliers to the Japanese brand Kagome. Today, Alex oversees the Bluesign Certification project for factories in Taiwan for Fu Hsun Fiber Industries Co. Ltd. He has been working there since November 2012 in the sporting fabric department. Alex has been serving with the Canadian Chamber of Commerce for the past two years and he devotes an enormous amount of time to our committees. Anthony van Dyck was born in Manitoba, but grew up in Waterloo, Ontario. Mr. van Dyck is Co-Founder and CEO of Halo Booking, a reservation, CMS, and payment platform for B&Bs, hotels, restaurants, spas, and lounges. A long-time resident of Taiwan, Mr. van Dyck is also the founder of Taiwaneasy.tw, a website for Taiwan’s international community. Mr. van Dyck first served on the CCCT’s Board of Directors in 2005, and has been an active member of Taipei’s expat community for many years. Brandon has been an integral part of the Canadian Chamber of Commerce for much longer than just this past year as an Alternate Director. 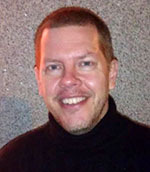 As a professional musician, actor and a well known member of the arts community in Taiwan, Brandon has assisted the CCCT for years with our events, selflessly giving his time and energy into helping us arrange live musical acts for our large events, such as Canada Day and the MacKay Gala, and Dragons’ Chamber Taiwan. Brandon is an incredibly dedicated and energetic person who is driven to succeed in everything he does in life. He has over a decade of experience in acting and performing both for the stage and television. He is an accomplished singer and MC (Master of Ceremonies) hosting several shows in Taiwan. Brandon has a great sense of timing and humor and he is always ready to perform. Jessie Chou is the Co-founder and CEO of Musa Trademark, a trademark agent specializing in Taiwanese and Chinese trademarks, and a proud member of CCCT. And sponsor the Canadian Chamber’s 2017/ 2018 Dragons’ Chamber pitch event for foreign entrepreneurs.Ms. 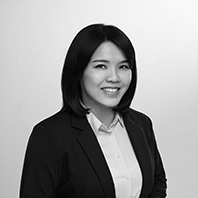 Chou has been in the field for over 9 years after graduating from the law school and completing the professional training programs from Taiwan Intellectual Property Training Academy and China Intellectual Property Society. She works passionately to help managers and founders understand the importance of trademark protection and help companies to grow steady and strong with a customized trademark strategy. Mr. Josh Yang is from Vancouver, BC. 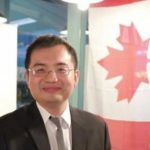 He is the founder of Able International, an importer and distributor of quality Canadian pet supplies for markets including Taiwan, Singapore, Hong Kong and Macau. Josh graduated with a B.Tech degree from British Columbia Institute of Technology, and a MBA degree from the University of Southern Queensland. Josh has been an active member with the CCCT for the past year. He joined the CCCT’s Board of Directors in early 2016. 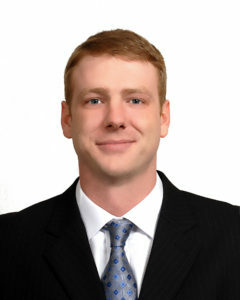 Josh serves on the CCCT’s Dragons’ Chamber committee and he is Co-Chair of the CCCT Small Business Committee. Prior to founding his pet supply distribution business in 2010, Josh served as senior operations and IT management positions for technology and retail industries in Vancouver and Taiwan. When Josh is not working, he enjoys spending time with his family. He has a son (born in 2011) and they enjoy playing with toys and doing outdoor activities together. 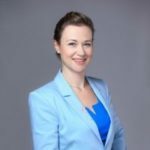 Julia Buss assumed her current responsibilities as Deputy Director of Trade and Investment at the Canadian Trade Office in Taipei in August 2017. Prior to coming to Taiwan, she worked in Ottawa as Trade Policy Officer in the Services Trade Policy Division and as Advisor to the Deputy Minister of International Trade. Julia was also posted to the Embassy of Canada in Beijing, PRC from 2012-2015 where she worked as Trade Commissioner. Julia was born in Regina, Saskatchewan and grew up in Vancouver, BC. 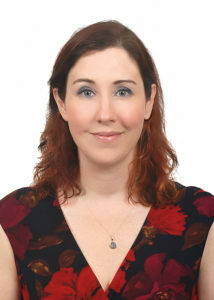 She holds a Bachelor of Science in Computer Science from the University of British Columbia and a Bachelor of Social Science in International Development from the University of Ottawa. Carrie Kellenberger is from Carleton Place, Ontario, Canada. After graduating with a Law degree from Carleton University, Carrie lived in China from 2003 to 2005. She moved to Taiwan with her husband in early 2006. The Kellenbergers own an international recruitment agency called Reach To Teach Recruiting, which recruits teachers for teaching positions with Ministries of Education, private language schools and international schools in countries around the world, including education programs in China, Hong Kong, Singapore, South Korea, Taiwan, Vietnam and the UAE. Carrie joined the CCCT’s Board of Directors as their Communications Director in 2014 and served in this role until March 2019. 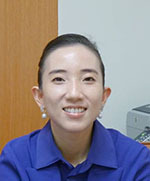 In 2015, she helped to establish the CCCT’s Small Business Committee, which focuses on supporting, informing, and offering networking opportunities to small business owners in Taiwan, and she assisted in helping to create the CCCT’s Dragons’ Chamber Taiwan, which was established in 2016. She moved into the CCCT’s Chairwoman position in early 2016 and completed her two-year term as Chairwoman in early 2018. Today, she serves the Chamber by working as a Managing Supervisor and overseeing the Board of Directors through her role on the Board of Supervisors. 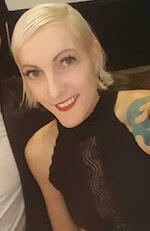 During her last decade in Asia, Carrie has worked as an international publishing professional, as a ghost writer for several best-selling authors, and as a versatile writer and editor for digital and print magazines, websites, and e-newsletters. She writes in fields as diverse as travel, education, culture, lifestyle, entertainment, and health advocacy. Carrie has a great deal of experience working on website development for companies in the US and in Asia, while specializing in online communications. Mr. Seewald is the Chairman and Country Head of BlackRock Investment Management (Taiwan) Co., Limited. As Country Head, he is responsible for the management, leadership, and strategic direction of BlackRock’s operations in Taiwan. 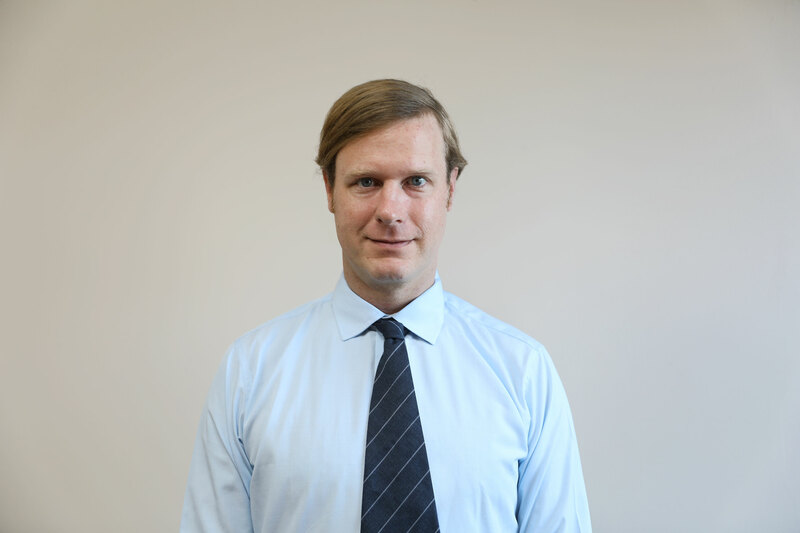 Previously, Mr. Seewald was the Chairman of Manulife’s asset management company in Taiwan and Deputy General Manager of Manulife’s life insurance operation in Taiwan. 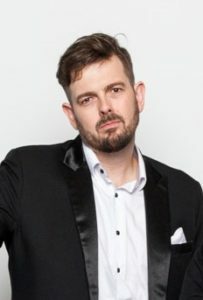 Originally from Canada, Mr. Seewald has a Bachelor of Law Degree from the University Alberta as well as Bachelor of Business Degree from Simon Fraser University. 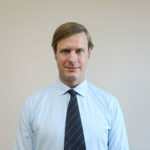 Mr. Seewald is qualified as a solicitor in Hong Kong and as a barrister and solicitor in British Columbia, Canada. 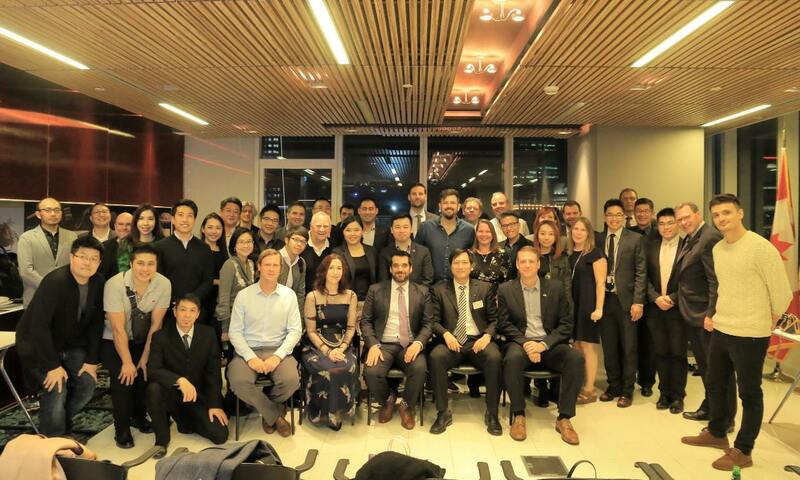 From then until now… The Canadian Society to the Canadian Chamber of Commerce in Taiwan. The Canadian Chamber of Commerce in Taiwan has a long history in Taiwan dating back to 1983 when it was known as the Canadian Society. The Canadian Society was founded in 1983 with a mission to promote goodwill and understanding between Taiwan and Canada. The initial objectives of the Canadian Society are the same objectives that the Canadian Chamber of Commerce in Taiwan continues to follow to this day: To provide a forum for Canadians to meet, to discuss matters of mutual interest which will help to promote the greatest understanding between Taiwanese and Canadians, to contribute to brotherhood, goodwill, and respective cultures of the two countries and to encourage exchanges between Taiwanese and Canadians. As we celebrate our 20th anniversary, it is proper to reflect on the lessons that the past 20 years have taught us. Our membership has always been diverse, coming from all over Canada- Newfoundland to Vancouver Island – and many originally from this part of the world, with a wide spectrum of occupations in Taiwan. The cement that tied us all together at the beginning was the need, felt by everyone, for the provision of consular services through the Hong Kong Commission. The was enough to justify our participation in most of the activities. We needed to gang together to be heard. With the opening of the Canadian Trade Office in Taipei, this focus rightfully disappeared and we started to look for a raison d’etre. Somehow it never came together. Even with a growing number of Canadians living in Taiwan, membership hasn’t grown and has even diminished. Even the old timers like me and John Hardyment have drifted away. We have to find a focus to lead us in the future. Taiwan is growing, and we Canadians have a lot to offer. The Canadian Society should , I believe, focus on contributions to the Taiwan society with typical Canadian spirit: If so, I myself would feel obliged and happy to contribute. I am sure that many others would, too. And 20 years from now, members will be proud of being a member for what the Canadian Society has contributed to Taiwan, as well as for what it has accomplished for Canadians in Taiwan. Let’s wish ourselves a long and prosperous future. In 2013, The Canadian Chamber of Commerce in Taiwan was formed out of the Canadian Society, thanks to the efforts of Mr. Leo Seewald and a number of contributing figures on the Board of Directors. We would also like to extend our sincere thanks to Supervisors and Directors who worked with us in past years. Thank you for your hard work and dedication. 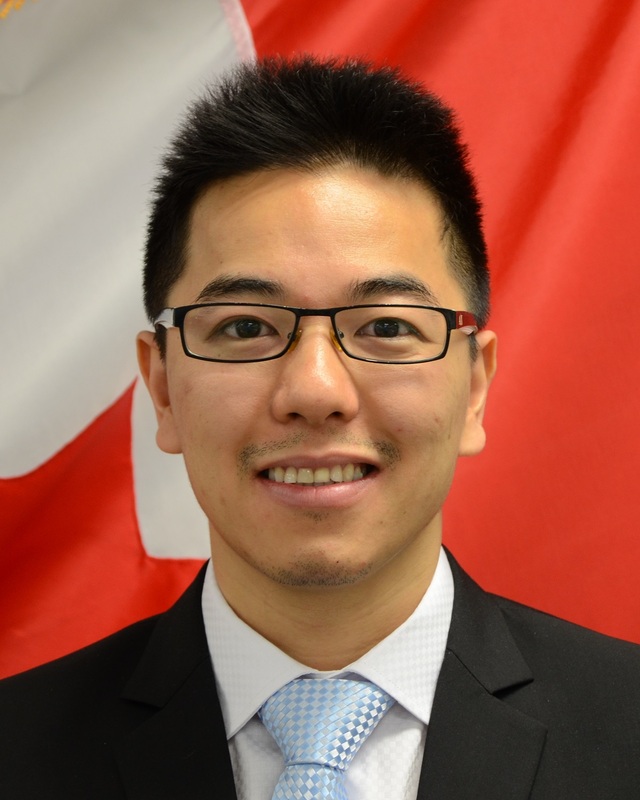 Kenny Peng, M.A.Sc., P.Eng., is Director, Asia, for PharmEng Technology, a leading life science consultancy headquartered in Toronto, Canada. In 2005, the company came to Taiwan upon invitation to design and validate a state-of-the-art vaccine research center at the National Health Research Institute in Zhunan, Taiwan. Kenny grew up in Miaoli City, Taiwan. He moved to Canada for his secondary education in Oakville, Ontario, and ultimately graduated with a Masters degree in engineering from the University of Waterloo. 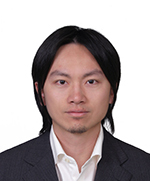 Kenny holds a professional engineer’s license (Ontario, Canada), and currently operates simultaneously out of Singapore and Taiwan, serving pharmaceutical and medical device manufacturers and innovators across Asia.He is fluent in Chinese and English. Shannon Watson is an Advisor at Quantum International Corporation (QIC) and has been part of the team since the firm was founded by Alex Lee in 2012. 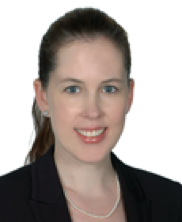 At QIC, she is responsible for supporting corporate clients in the areas of investor relations and corporate governance. Ms. Watson previously held roles at Coca-Cola and Yuanta Securities, gaining experience in training teams, operational auditing, equity research, and CRM management. 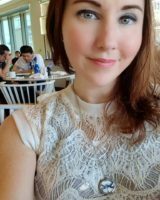 Ms. Watson holds a Bachelor of Social Sciences in Political Science from the University of Ottawa and completed her MBA with a concentration in Finance at National Chengchi University in Taiwan. Shannon also serves on several other committees with the CCCT. Jenna Robinette was born in Winnipeg, Manitoba, but was raised all across the country – B.C., Alberta, Manitoba, Ontario, Nova Scotia, and Newfoundland. She is a fashion stylist for Lara and Esther Veronin at Meimeiwawa Multimedia, and a partner at the newly opened Toasteria Cafe Yong Kang. After studying fashion design at Blanche Macdonald in Vancouver, Jenna has remained an active freelance designer. She has dressed fire dancers, stage performers, musicians, brides, drag queens, and extraordinary real life characters in custom garments. She has worked on 10 plays at The Lab as costume designer. Jenna works with the CCCT’s Communications Team and on the CCCT’s Small Business Committee. Miriam was born and raised in Montreal, Quebec. After signing with a local Model Agency at 16 she left Canada for the first time and came to work in Taipei. After discovering a passion for fashion, language and travel, she then spent the next 7 years touring the globe modeling. In 2005, tired of constantly living out of a suitcase and looking for more of a base in Asia she decided to call Taipei home. On top of her work in the fashion industry, she has Studied in Interior Design and spent time working with various animal welfare groups and shelters around the island. She is fluent in both English and French. 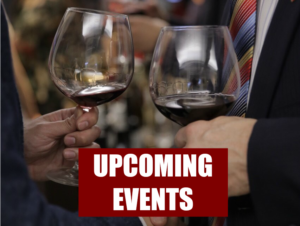 Click on our Around Town calendar for a list of events that are hosted by CCCT Corporate Members, Small Business Members, and other partners of the Canadian Chamber of Commerce in Taiwan. Copyright © 2019 Canadian Chamber of Commerce in Taiwan All Rights Reserved.